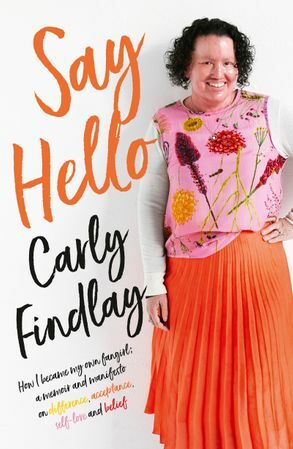 This honest, outspoken and thought-provoking memoir by award-winning writer and appearance activist Carly Findlay will challenge all your assumptions and beliefs about what it is like to have a visibly different appearance. Carly lives with a rare skin condition, Ichthyosis, and what she faces every day, and what she has to live with, will have you cheering for her and her courage and irrepressible spirit. This is both a moving memoir and a proud manifesto on disability and appearance diversity issues. Carly Findlay is an award winning writer, speaker and appearance activist. She writes on disability and appearance diversity issues for publications including ABC, Daily Life and SBS. She was named as one of Australia's most influential women in the 2014 Australian Financial Review and Westpac 100 Women of Influence Awards. She has appeared on ABC's You Can't Ask That and Cyber Hate with Tara Moss, and has been a regular on various ABC radio programs. She organised history making Access to Fashion - a Melbourne Fashion Week event featuring disabled models. Carly identifies as a proud disabled woman - she lives with a rare severe skin condition - Ichthyosis.